You Must Play! Orcs Must Die! Forget about blogging, do you remember when I had the time to actually play games? 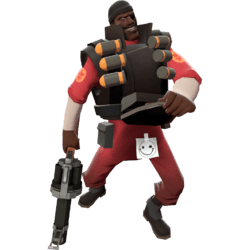 Ah . . . those were the days. The days before freelance gigs and significant others took up my evenings and weekends. OH MAN! IN A GOOD WAY. I MEANT THAT IN A GOOD WAY. . . . Yikes. Anyway. I did just get Assassin’s Creed: Brotherhood and Assassin’s Creed: Revelations to educate myself and catch up before I buy Assassin’s Creed III, so you know . . . I’m coming back to the fold. But! Since I haven’t gotten far enough in Brotherhood to give a definite blog post/opinion, I decided to use this blog post to knock out a review that’s been circling my dome for weeks now. 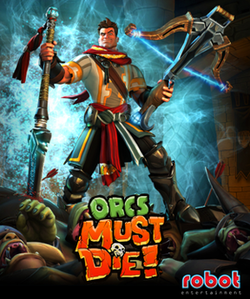 You should all play Orcs Must Die!! Funny, challenging, fun. The trifecta! Er, that needs a little clarification. If you like tower defense games, then this is one of the best of the genre. In all the hubbub of Orcs Must Die! 2 coming out, Orcs Must Die! was supa cheap on Steam some time ago. This was one of those Steam sale games that had been staring at me like an orphan for months because I never played it. So I finally did, okay Robot Entertainment?! Stop judging me for not installing your game sooner! The game begins with your wizened master dying in a sea of orcs in battle, lamenting that he has to pass his torch on to his apprentice, who is an idiot. “We will surely die,” is is his concluding thought. I was laughing right from the get-go, not just at the deprecating humor, but at the cartoon-y, charming artwork as well. You then take up the main character, only known as the Apprentice, to place a few traps and helps at your disposal (limited by how much money you have an how expensive an item is) around an enemy entrance to guard the Rift, a magical opening between worlds. Once you’re ready, you start the orc onslaught, and you get to shoot with magic, bombs, or arrows, or just melee attack orcs along with the other weapons you placed, like arrows that shoot from a wall or slime on the ground that slows enemies down. Maps get bigger, and enemy numbers increase, as well as enemy types, as the levels progress. There are multiple Rifts throughout the game, so you go to different locations to guard them. I’m not certain that Orcs Must Die! was the first to put a 3rd person perspective on the tower defense genre (drop knowledge if you have it, in the comments), but I feel like it was the first that got a lot of attention for it. Or maybe I’m making stuff up again, who knows. It was the first I heard about it, anyway. And it was intriguing. I really like tower defense games, and have wasted many work hours in a tiny flash window in a browser trying to destroy hordes making a break for my pile of jewels, or whatever their incentive might be, depending on the game you’re playing. And that’s just it, isn’t it? They’re all pretty much the same. A few different items, but the mechanics are rote. Like these orcs about to be stabbed from below, the tower defense genre has been . . . stabbed with ingenuity, from Orcs Must Die!? That’s not to say that a lot of the familiar and perhaps boring pieces of the genre aren’t in Orcs Must Die!. Getting some prep time to set up your traps before the enemies start swarming the map, guarding the sacred object, and getting more money as enemies die, to keep buying and placing more weapons to stop them. The gameplay elements that diverge from the norm that I loved were getting to attack enemies myself, as a solo character while my traps and weapons from below, above, and all other sides do their worst as well. That also adds the challenge of not being able to monitor every enemy entrance because you are only one guy, in one spot, and that is getting more and more difficult the more I play (which is awesome). We’re deep in an era of nostalgia gaming, where people take beloved genres or stories and recreate them and make a million dollars on Kickstarter. So when something like Orcs Must Die! comes along and seems to say, “Listen, we get it. You love what you know. But we can also help you love something beyond what you’re most familiar with,” I’m totally on board. And you should be too! Play this game for smiles, laughs, and as the levels continue, a healthy impulse to rage quit, followed by a satisfying win to yet another map. First, building that thing was so fun. It was the best of both worlds – getting to work with my hands and getting to work with a mouse and keyboard. I had a few problems getting the motherboard to recognize my GPU, but I figured it out and now it’s running like a champ. I will say, I used the stock thermal paste that came on my stock heatsink, and the CPU runs pretty hot sometimes. My first update purchase will probably be thermal paste. Then maybe more fans (the case only came with one! My one complaint about that Cooler Master case). Aside from that, I think the weak link in my setup is my motherboard but that’ll take me longer to replace just because I don’t know if I want the hassle, particularly because my rig is running like a CHAMP! So true, it’s worth saying twice. I’ve never seen games run on “Very High” graphic settings in real life before. Only in videos. Beautiful. Also, all on my 32” HDTV. This is heaven, as Jimmy Eat World once said. The Friday that my final PC pieces arrived, I was geeking out checking the shipping logs online at work and my boss asked me what game I would first christen my system with. I had never even considered it! I logged into my Steam library to give it some good hard thought and settled on Dragon Age: Origins. It’s my oldest game in my library that I still haven’t played because I bought it when it was on sale and my laptop could barely run it. 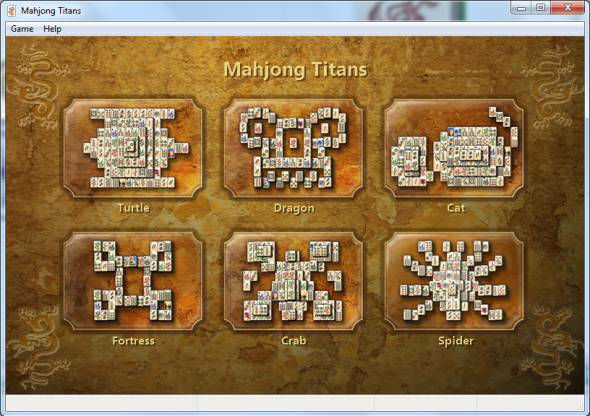 As I built my machine that night, I was getting bored waiting for Windows updates and I opened a game of Mahjong, which I later realized was truly the first game I played on the PC. Highly disappointing, unless you’re my mom, then it’s really great. DAMN you, Mahjong! You’ve tricked me for the last time! Anyway, Saturday morning I was troubleshooting some last software stuff when I finally got to business playing Dragon Age Saturday afternoon. I had attempted to play through this game when I first bought it, but my laptop was struggling so hard I didn’t get very far. But after a few hours of play, I’m just about where I stopped the first time around and let me say: it is slow going. I’ve heard great things about this game, so I’ll power through. The combat I enjoy because although there are some really tough bosses, the strategy aspect of being able to pause and assign characters actions helps a lot. I’m also looking forward to trying out a different race at some point to see how different things really are. But while I was playing Dragon Age, I made sure I was downloading other games at all times. But every time a game was finished downloading from my library, I thought “Oooh, I wonder how that will look” and I’d take a break and start playing another game. 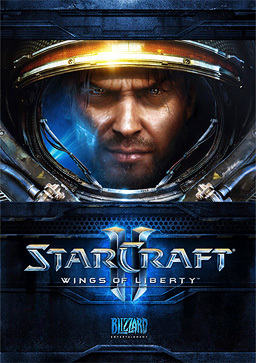 I finally downloaded and tried out StarCraft II (which is the first StarCraft game I’ve ever played). I enjoyed it so much that when the starter edition ended, I straight up bought the rest of the game. The original World of WarCraft games were RTS and I remember loving those so even though I didn’t have a lot of time logged to justify my $40 purchase of the rest of the game, I am nearly positive I’ll enjoy the time I get out of it. Plus, it was more of a social purchase. Everyone I know and their dogs play SCII so I need to start getting my game on. Anyway, great graphics, very fun voice acting, I have no idea what’s going on in the story in relation to the original SC but . . . great graphics! Protoss? Kerrigan? Zerg? Sure, whatever. I had to check out Team Fortress 2 on the big screen (big by my standards . . .) and with a faster processor. Holy. Crap. It’s like a different game! No lag, just blowing people away without hesitation! Seriously fun. The problem is becoming that I have too many awesome games to play, and now am always in a conundrum of what to start. I should make this useful, instead of commenting on old games. I did try out a demo for A Valley Without Wind which . . . I somehow thought looked amazing from a gameplay demo I saw months ago. False, it is not. Boring, too much going on, a really expansive world but constant hints throughout tell you not to waste your time exploring everything . . . ? More time should’ve been spent on the graphics and gameplay instead of the map, frankly. Don’t waste your time on it. I didn’t even finish the demo, I just quit after a few hours. But! 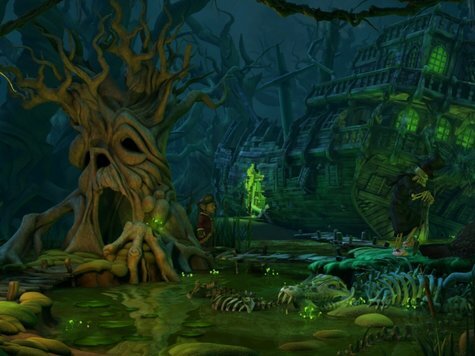 Best demo of the week aware goes to A Book of Unwritten Tales! I saw this on Steam a few weeks ago and thought it looked pretty cute, lots of tongue-in-cheek humor about gaming and fantasy tropes. I downloaded the demo and finally played it last week. Hilarious! Superb voice acting, a highly polished visual presentation, and humor all over the place. The gameplay is your standard point-and-click adventure game, lots of repetitive walking and puzzling, which I’m not a big fan of. For that reason, I’ll wait until this goes on sale (it’s currently $20) but it’s available on Steam and gog.com so . . . go nuts if you’d like! I highly recommend at least trying the demo, which had me laughing out loud. This is the ship that Death lives on, depressed that no one dies in the game. Ugh . . . DURIEL. My rage is unquenchable. Even eventually killing this devil will not satiate my desire to obliterate it from existence, from ALL FUTURE DIABLO II GAMES!